channel45news.com - Real or Satire? channel45news.com - Real or Satire? Though not as prevalent as previous years, Channel 45 News is a prank-news generator, much like Break Your Own News. So this story about Justin Bieber coming out as bisexual and dating Ricky Martin is fake. 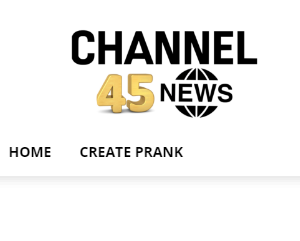 Of course, with the word “prank” plastered all over the site, we can only assume that the intent of Channel 45 News is pure clickbait.